Sept 28. Welcome, to this week&apos;s newsletter. Both of today&apos;s feature articles are Member suggested, which is great. First, in response to many requests, we are republishing Betty Fitterman&apos;s outstanding 6 partseries on living the mobile lifestyle in retirement, but this time doing it in the Blog so people can Comment. Then, two different Members asked if we could write about the idea of retiring in a Pocket Neighborhood, and that is the 2nd feature. Thanks to Huntley61 and janeAnn for that one! We would also like to welcome Flo as our first volunteer Blog and Forum moderator. It was heridea to help make the user experience better for everyone by making sure that posts and comments get put in the right places. Thanks Flo, you are already making a difference. Reading this but don&apos;t subscribe yourself? Hereis where you can get your Free subscription. Way back at the beginning of Topretirements, Betty Fitterman wrote an amazing 6 part saga for us. 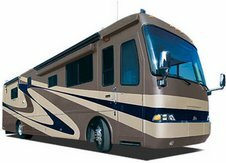 It&apos;s the tale of how she and her husband sold their big home in the &apos;burbs and moved into an RV, then roamed the country in a years-long adventure, now ended. Betty, a former NY ad agency copywriter, will keep your attention! 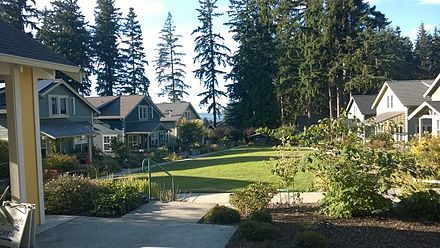 If you have ever dreamed of retiring to an island, this one in Puget Sound might be a contender. Not only beautiful, it&apos;s also home to one of the Pocket Neighborhoods described in today&apos;s featured article, Third Street Cottages. It&apos;s an old concept that&apos;s gotten a new life. Cluster a small group of homes around a common space and people have so many chances to interact. This article explains the idea and gives some examples you might enjoy. 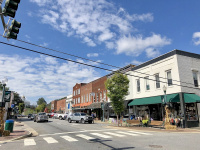 Tucked between Plott Balsam Mountain Range and the Blue Ridge Parkway, Sylva is a small but quaint town lined with cafes, galleries, bookstores, breweries, and antique shops. It&apos;s about 50 miles from Asheville.